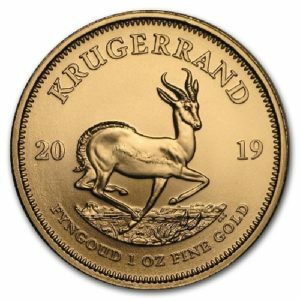 The 22k gold Krugerrand, first minted in 1967, set off the modern gold bullion craze – leading directly to the creation of the American Gold Eagle, the Canadian Gold Maple Leaf and several government minted coins. “Krugs” also come in 1/2, 1/4 and 1/10 oz denomination. 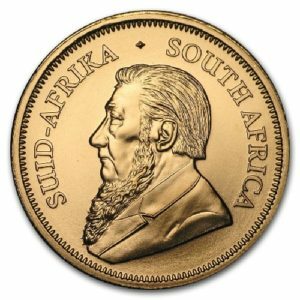 Please call for a quote on “fractional” Krugerrands. Thanks.